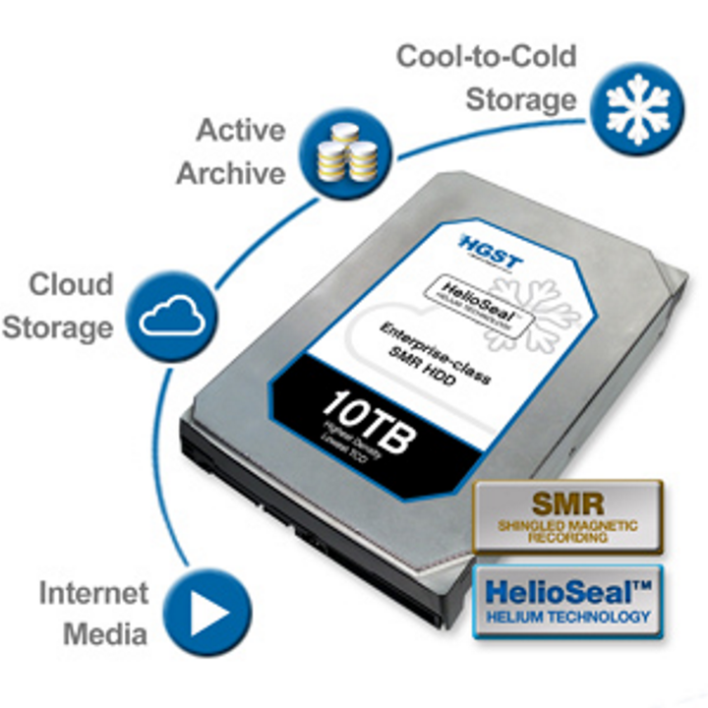 First up is the new new 10TB hard drive uses the same HelioSeal technology that has its debut back in November 2013. HelioSeal basically means that helium is hermetically sealed inside the drive (it is unable to escape) And because of this, air and any contaminants cannot get in. A drive which operates in a helium environment provides a lot less resistance than normal air, thereby allowing more platters to be utilised (8) while still using less power. Apparently the power consumption of helium-filled drives at 23% less than their own conventional air-filled drives.